105 agronomists and 25 students attended a technical seminar in Lecce (southern Apulia, Italy) on November, 24. Organized by the local association of Professional agronomists, the seminar aimed to broaden the knowledge of the participants on the current situation of Xylella fastidiosa in Europe. Presentations were given by researchers of IPSP-CNR, University of Bari and CRSFA. The latest scientific advances on the biology of the strain CoDiRO severely infecting olive trees in the province of Lecce, the outcomes of the ongoing investigations for searching resistant olive cultivars and the results of 2-years trials for the control of the vector populations were among the topics explained during the one-day seminar. 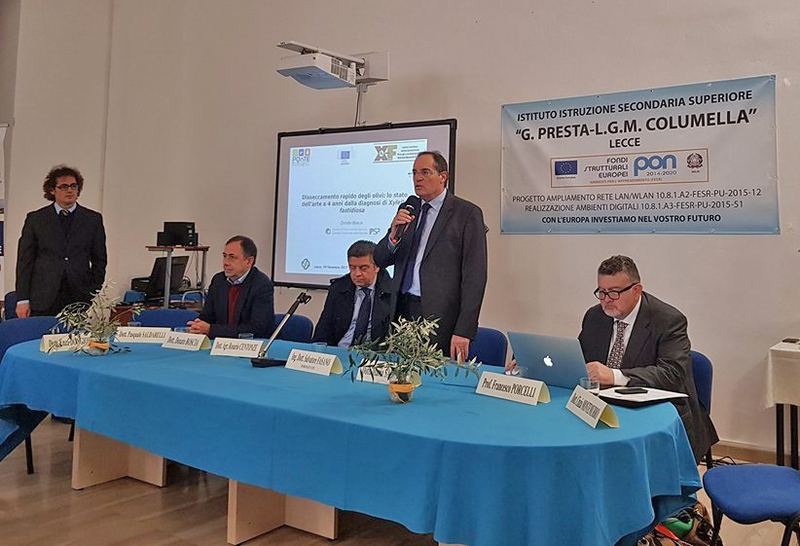 The meeting was held on Friday, November 24 at the premises of the Istituto Agrario G. Presta in Lecce and it was attended by 105 agronomists and a group of 25 students of the Institute. The final discussion highlighted the important role of the farm advisories and agronomists for delivering scientific-based information on the emergence of X. fastidiosa to growers and different stakeholders. Indeed, it was remarked the urgent need of authorized formulations for the control of the insect vector Philaenus spumarius on olive trees. 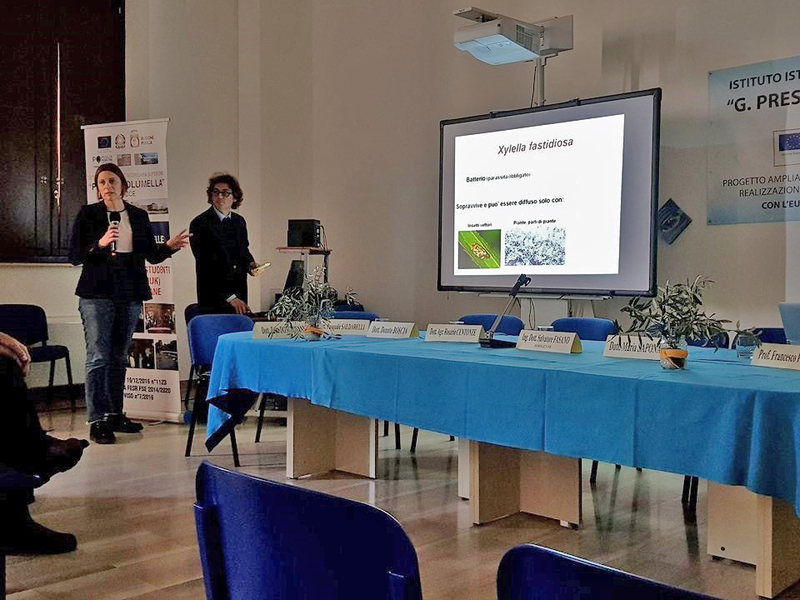 The presentations were given by the researchers belonging to the IPSP-CNR (Donato Boscia, Maria Saponari and Pasquale Saldarelli), to the University of Bari (Prof. Francesco Porcelli) and to the CRSFA (Dr. Enza Dongiovanni).